Elected by our members, Sound’s board helps set the strategic direction of the credit union and oversees our fiduciary responsibility. Brenda Heineman has been working in the Human Resources/Risk Management field for over 30 years. She has her own consulting business and is called upon to speak before business organizations on a wide range of topics. She has also served as the Director of Human Resources and Risk Management for the City of Auburn, and has held senior positions at PACCAR (Peterbilt Division), Alaska Air Group (Horizon Air), and the Auburn Regional Medical Center. Her areas of expertise are in risk management, labor relations, worker’s compensation, employment, leadership training, and contract negotiations. Ms. Heineman holds a bachelor’s degree in Business from Prince Georges University. 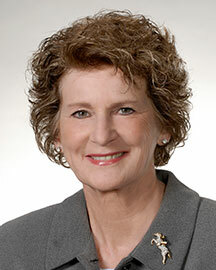 She has served on the Board of the Auburn YMCA, Auburn Food Bank and Advisory Board, Auburn Regional Medical Center Institutional Review Board, and has been an Executive Committee Member and President of the Washington Cities Insurance Authority, the largest municipal insurance pool in the state. Ms. Heineman joined Sound Credit Union’s Board of Directors in 2003 through the merger with Valley Community Federal Credit Union. She has previously served in every Board leadership role including Chair, and has chaired the Board Governance Committee. David Wasson began his career in the retail coffee industry in 1989, and joined Batdorf & Bronson Coffee Roasters in Olympia in 1995. He served as the company’s first Retail Operations Manager and in 2001 was promoted to Vice President/Finance. He added the position of General Manager in 2004. In 2017, Mr. Wasson was promoted to President, and in this capacity oversees operations in Olympia and Atlanta. Previously Mr. Wasson was a Circulation District Manager at The News Tribune for eleven years. He received his Certificate in Accounting from City University. Mr. Wasson currently serves as President of the Olympia Downtown Association and as Commissioner on the City of Lacey Planning Commission. He started in the credit union movement in 1979 as a volunteer on the Marketing Committee with Tribune Credit Union which later merged with Sound Credit Union. In 1980 he joined the Supervisory Committee of Tribune and also served as a Director. He began his service at Sound as a member of the Supervisory Committee in 1989, and became a member of the Board in 1994. He has served in every Board leadership role including two terms as Chairman and has chaired the Audit Committee and the Employee Benefits Committee. 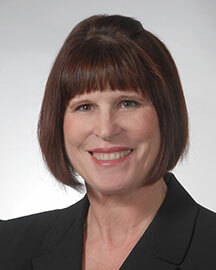 Shelley Coleman currently serves as the Director of Finance for the City of Auburn. She has over 25 years of governmental accounting, audit, and finance experience and worked at the State Auditor Office where she conducted independent audits of local governments. Ms. Coleman graduated from Central Washington University with a bachelor’s degree in Business Administration. Ms. Coleman is a licensed Certified Public Accountant (CPA) with the Washington State Board of Accountancy. She maintains her CPA license by completing 40 hours of accounting and auditing professional continuing education credits. Shelley Coleman joined Sound Credit Union as a member of the Audit Committee in 2009 and was elected to the Board of Directors in 2012. She served as the Audit Committee Chair from 2013 to 2018. John Bauder is a Vice President and Commercial Real Estate Broker for CBRE, Inc. in Tacoma. He has been in the real estate industry since 1985, and has been involved in numerous sale and lease transactions for offices, industrial buildings and land. His expertise includes real estate and market analysis, negotiating transactions and site selection. Prior to joining CBRE, John was with Neil Walter Company. John is a member of the newly formed Tacoma City Manager’s Economic Development Advisory Group. Mr. Bauder was an Instructor at the University of Washington Tacoma for their Commercial Real Estate Certificate Program between 2006 and 2009. He is also an active participant with Habitat for Humanity locally and abroad. John participated in a Habitat Global Village builds in Guatemala in 2013 and in Budapest, Hungary in 2016. Additionally, he completed builds in Tijuana, Mexico through Amor Ministries in 2001 and 2003. John was elected to the Sound Credit Union Board of Directors in 2016. Haluk Demirkan, Ph.D., was appointed to the Board in 2017, bringing roughly 20 years professional experience advising more than 40 Fortune 500 companies in data analytics, service innovation and digital transformation with smart machines and service-oriented technology and management. Dr. Demirkan founded the University of Washington Tacoma business school’s Center for Business Analytics and Master of Science in Business Analytics Programs, and serves as their director. Dr. Demirkan received a Ph.D. in Information Systems and Operations Management, and earned his post-master’s in Engineering, a master’s in Industrial and Systems Engineering and a bachelor’s of science degree in Mechanical Engineering. Dr. Demirkan co-founded the International Society of Service Innovation Professionals—a nonprofit to promote human-centered “smart” services for value and outcome. Recognized for his expertise in his field, Dr. Demirkan frequently serves as an expert reviewer, panelist and speaker. 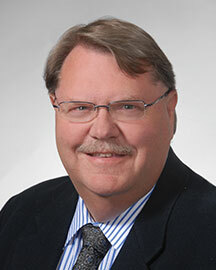 Jim Griggs has 34 years of extensive public sector audit and management experience. He spent 33 years with the Washington State Auditor’s Office, retiring October 2017. A retired Naval Officer, Mr. Griggs spent over 30 years in the U.S. Navy and Naval Reserves, where he attained the rank of Commander. He was mobilized in November 2007 during Operation Iraqi Freedom and assigned to the Joint Personnel Recovery Center, Baghdad, Iraq; where he served as the Senior Intelligence Officer, Deputy Director and Director. He was demobilized in January 2009. Mr. Griggs has been recognized and awarded in both his civilian and military careers. He is a Certified Public Accountant and holds a Bachelor of Arts degree, with a Concentration in Accounting, from the University of Washington. 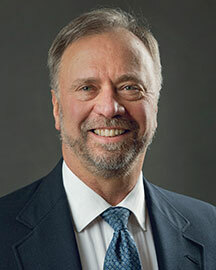 Jim was appointed to the Sound Credit Union Board of Directors and Audit Committee in 2018. Additionally, Mr. Griggs serves as Commissioner for Public Hospital District #1 at Valley Medical Center. 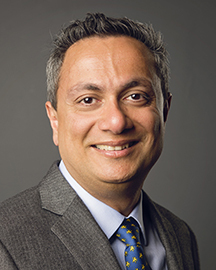 Since 2008, Altaf Merchant, Ph.D. has taught marketing in the Milgard School of Business at the University of Washington, Tacoma. He now serves as Associate Dean of the School. Prior to teaching, Dr. Merchant was a brand/marketing manager for several global brands. He coordinated marketing teams and launched products and campaigns internationally across several countries in Asia, Europe and Africa. Dr. 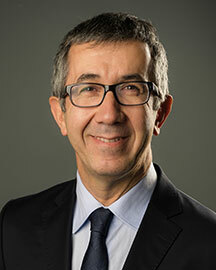 Merchant is a visiting professor at the University of Lorraine, and the Aix-Marseille University in France, and senior research fellow at the King’s College in the United Kingdom. He received his Ph.D. in Business Administration with a concentration in Marketing, an MBA in Marketing and a Bachelor’s in Commerce. Dr. Merchant serves as associate editor of the Journal of Advertising Research and is program co-chair of the 2019 Academy of Marketing Science Conference. Because of his research, Dr. Merchant has made around 50 conference presentations around the world, and has published over 25 peer reviewed articles. His research focuses on advertising, branding, cross-cultural and nonprofit marketing issues. Locally, Dr. Merchant consults on advertising, branding and management strategy. Clients have included Hasbro Toys, Annie Wright Schools, the United Way of Pierce County, and PBS. Dr. Merchant was appointed to the Board in 2017. Keith Mock is the Director of Finance for Virginia Mason Medical Center in Seattle, a position he’s held since 2003. Previously, Mr. Mock was the Director of Finance/Controller at Good Samaritan Hospital in Puyallup where he worked for 29 years. Mr. Mock graduated from Washington State University with a bachelor’s degree in Business Administration and Accounting. In 2009, Mr. Mock was recognized as the Pierce County Chapter of Credit Union’s Credit Union Volunteer of the Year. He is also a member of the Board of Directors for The Ashley House and has served as Treasurer since 1989. This organization provides medical care for indigent children. He is an active participant and supporter of the American Cancer Society’s Relay for Life events, having served as the volunteer accountant for the Puyallup and Sumner Relays. 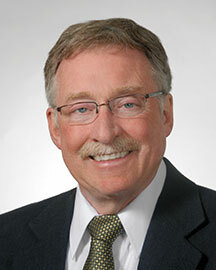 Prior to serving at Sound, Mr. Mock participated on the boards of two local credit unions, beginning in 1975. He joined Sound’s Audit Committee in 1988 and was elected to the Board of Directors in 1992. He has previously served in every Board leadership role including two terms as Chairman, and has chaired the Board Governance Committee and the Employee Benefits/Advocacy Committee. Barry Wallis founded Wallis Law Firm, PLLC in 2007. Since then he has built his law firm and his other law related businesses into a multimillion-dollar enterprise. 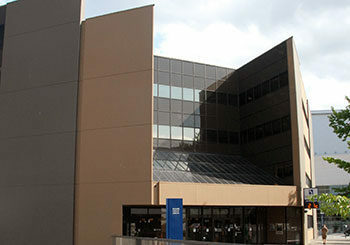 Areas of focus have included civil litigation, business law, contract negotiation, dispute resolution, trust account management, debt restructuring, verifying corporate accounting, and regulatory compliance. He has worked in the field of law since 2004 holding positions at Wallis & Wallis Attorneys at Law and at Barton Strever PC. Mr. Wallis received his Bachelor of Arts in European Cultural Studies from the American University of Paris, his Masters of Environmental Studies from Evergreen State College, and his Doctor of Jurisprudence from the University of Oregon. 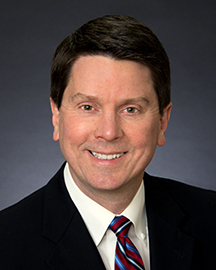 Mr. Wallis is currently an Executive Committee Board Member of the American Inns of Court, the Co-Chairman of the Board at the Cardozo Society, an Eagle Member of the Washington Association for Justice, and a Member of the Washington State Bar Association. 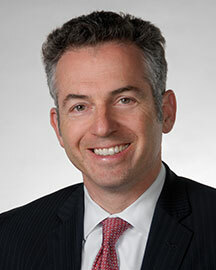 He is also a founding member and current President of the Slavic Bar Association of Washington (SBAW). Mr. Wallis joined the Sound Board of Directors in 2015. Mr. Wallis’ connection to Sound Credit Union runs deep as he owns the Historic Sunset Telephone and Telegraph building. It was in this building that many of the founding members of Sound Credit Union worked when the organization was originally formed in 1940. Members of Sound’s Board serve one-, two-, or three-year terms. If you are interested, download our application to learn more and apply. Directors and committee members are offered compensation based on their level of service.